preheat over to 350º F.
In a food processor, add garlic, walnuts, parsley and blend well. In a medium bowl, add mashed sweet potatoes; stir in parlsey mixture, butter, salt, pepper, powder ranch dressing and mix well. 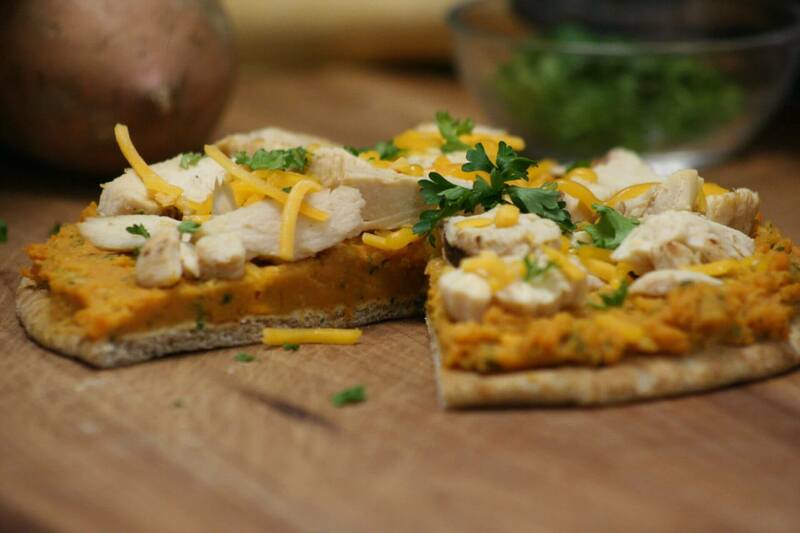 Spread sweet potato mixture onto flat bread. Top each flat bread round with chicken pieces and sprinkle cheese over the top.